Formerly Mary Rita Termine, 89 of Immaculata, PA on Nov. 18, 2016. 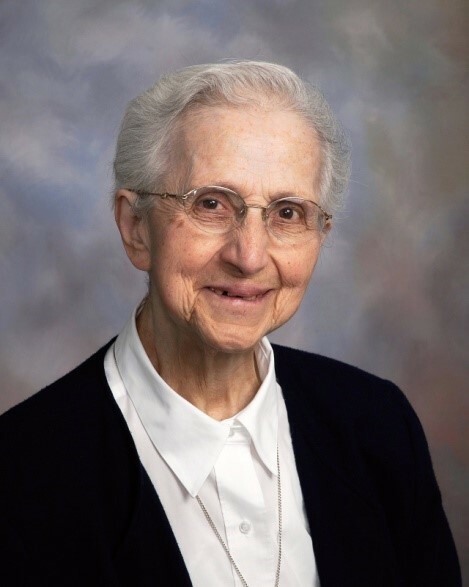 In addition to her congregation of IHM Sisters, she is survived by her brother Benjamin, many loving nieces, nephews, grandnieces and grandnephews. Predeceased by her parents Joseph and Lillian Ciaccio Termine, sisters Jenny (Alfonso) Gallo, Katherine (Albert) Borzillo, Frances (Natale) Uriani, and her brothers Michael (Catherine), Frank (Pearl). Religious, relatives and friends are invited to her visitation from 8:30am-10:15am, Wed. Nov. 23, 2016 at Camilla Hall, Immaculata, PA 19345; where her Funeral Mass will begin at 10:30am. Int. Immaculata Cem. Memorial contributions may be sent to Camilla Hall Nursing Home, c/o Mission Advancement, P.O. Box 200, Immaculata, PA 19345-0200.Arrangements by DellaVecchia, reilly, Smith & Boyd Funeral Home, Inc., West Chester, PA, 610-696-1181. www/DellaFH.com.